Venue: Cecil Sharp House, 2 Regent’s Park Rd, Camden , London, NW1 7AY. Tickets £6 waged / £4 unwaged. 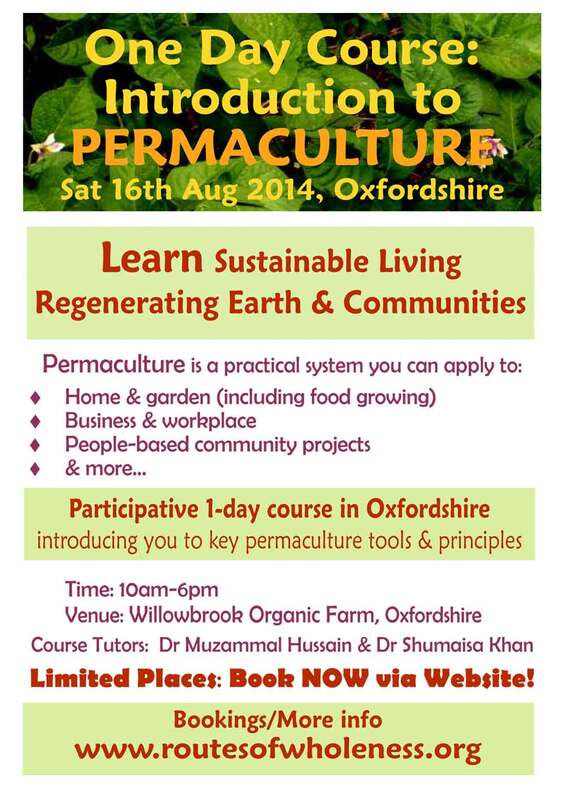 On the door only: for entrance to the Permaculture Festival: No additional cost for the Workshop! In developing strength through our diversity, whatever our colour, gender, histories, and religions, it can be helpful to appreciate the ways in which we are all the same. Yet, by staying only within the comfort zone of our similarities, might we be missing out on the richness that arises from appreciating the reality of our differences? This workshop is based on the belief that we can each tap into more courage, compassion and skill, enabling us to step beyond our comfort zone to reach out to ‘the other’, helping our relationships and communities to become more conscious, more authentic and consequently more resilient. The London Permaculture Festival is a non-profit grassroots event and is one of the largest permaculture events in the country. With Workshops, Storytelling, Music, Kids Dome &amp; more. The London Permaculture Festival is a non-profit grassroots event organised by volunteers.